Welcome to AntithesisMC.com, home of Antithesis – The Zionist Rapper. Since recording Ima Mechaka Babayit in 2001, which former Chief Rabbi Lord Sacks described as a “very novel prayer”, Antithesis’s fame for thought-provoking Zionist and Israel related rap and hip hop music has spread far and wide. Varsity newspaper named him one of the Top 100 Most Talented Cambridge Students, and the Jewish Chronicle has included him in its ‘Power 100’ list of those with the most influence over the British Jewish community. His first EP, ‘The Israel Question’, was released in December 2003, and sales exceeded all expectations with orders coming in from all over the world and the CD being received with great acclaim by old and young alike. 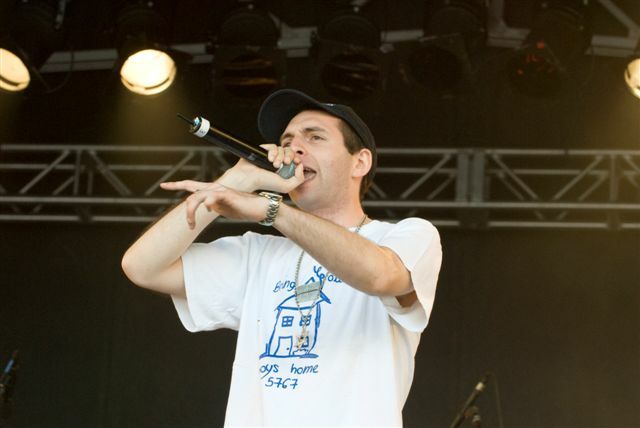 In 2007 Antithesis released his second EP, ‘United Kingdom of Racism’, which has been met with similar acclaim. Thousands of pounds in profits from sales of the CDs have been donated to charity. In 2010 he released his first music video, Proud to be a Zionist, which instantly proved to be a YouTube hit. Antithesis has been featured on the compilation CD Celebrate Jewish Hip Hop and runs a weekly radio show called Kol Cambridge. He has peformed on five continents and is currently working on an exciting third EP. Stay tuned for updates!